If you know of any useful resources or resource packs for P:C, please post the links below. If possible, check if the author has given permissions for use, and if the quality of the meshes/textures/animations is up to standard. Antares' Creatures - Frost Monarch: a lore-friendly Daedra variation. Antares' Creatures - Medusa: possible base for Tsaeci-derived enemies. Alaisiagae's Resources: includes a large set of weapon variations that could be of great interest. Untested. Ashtaar/Dun-Ra's Doors of Oblivion mod includes a large number of Daedra-related assets, including Cyrodiil-specific things like Mythic Dawn robes. hi, in this german mod i found some nice statues that may be useful for you. the original resources are from A_Sapp & Chainy, but i couldn't find a link to that. Thank you for the contribution, Outlander. I've cannibalized parts of these resources in the past to make our own statues. Sadly, the original statues aren't very useful to us, as their quality is still somewhat spotty in places. This set lacks detail and versatility: the models are very low-poly (and suffer from some mesh issues) and can only be used in a limited number of ways. 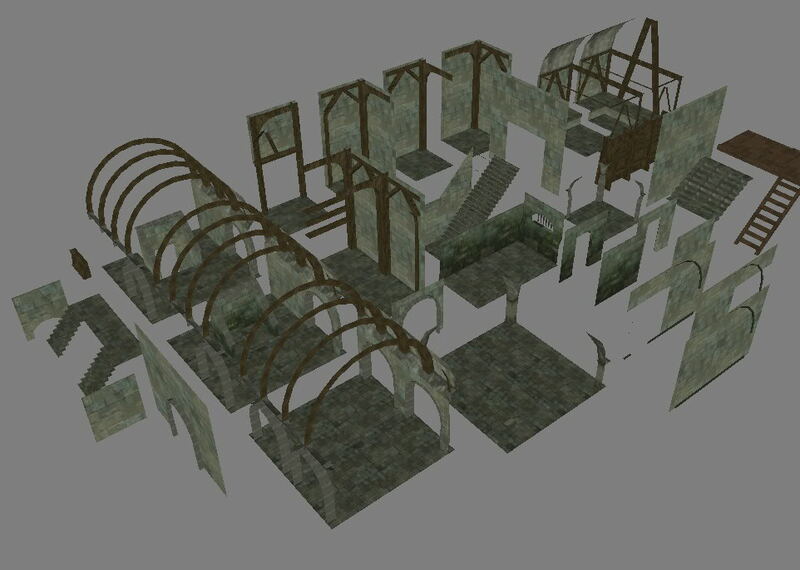 The barrel vault shape is interesting, though: with a bit of work, we could base a sewer tileset or something like that off it. In future, if you wish for a modder resource to be included, create a contribution in the internal data contribution-thread. Make sure to extract your desired files from the modder resource, rename them according to our file naming scheme, including textures. You will need nifscope or another tool that can change texture path of a model. Put the objects into the correct folders and create an esp-file that includes them. Make sure to orient yourself on other objects in Tamriel_Data when assigning ids to objects. Also add a small textfile with the name of the modder that created the modder resource, so I can add him/her to our credits-list. Stavroguin recently contacted me about donating his WIP Ald Krieg assets to P:C's cause! [hsimg=]http://image.noelshack.com/fichiers/201 ... 38-774.jpg[/hsimg] What do you think? IMO is looks amazing and would be really fitting for a Colovian castle or maybe even the Red Dome! Looks really cool, like tes4 with mods! We need to summon Infragris on this matter. There are some very impressive models in there. A couple of interesting pieces of furniture, like the globe, the rich tables, or the indoor forge (which looks much better than the ones we're using now). The tileset has a unique style which mostly stays true to Morrowind's polygon/mesh detail limits. It would need a bit of work, though: the textures are a too dark for P:C's home style, and the meshes are not set up as a traditional tileset which limits versatility. It also does not have an exterior set. I can definitely see it working as a type of religious architecture, for the Red Domes or the Temple of Akatosh in Kvatch. 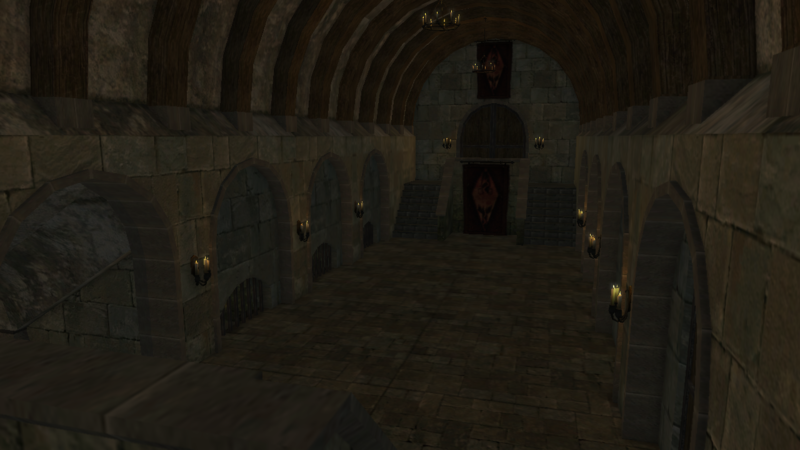 It's too limited to work as a castle or dungeon style, though (no smaller rooms, hallways, etc.) A very nice find. Crikey, I thought we were thinking of using this for Castle Solitude. Or was that another set? Either way it's a wonderful set. Re-upload of Stavroguin's Ald Krieg tileset. These will likely be tweaked to serve as tileset for temples like the great temples and monasteries.